Now is the time of year that I begin to make more regular visits up to our roof top garden. After winter break, digging in the dirt returns to the Palo Santo daily routine! It’s time to turn over the freshly thawed compost and get the planters ready for seeding mustards, collards, kales and other hearty greens that will be on our menu in a month or so. 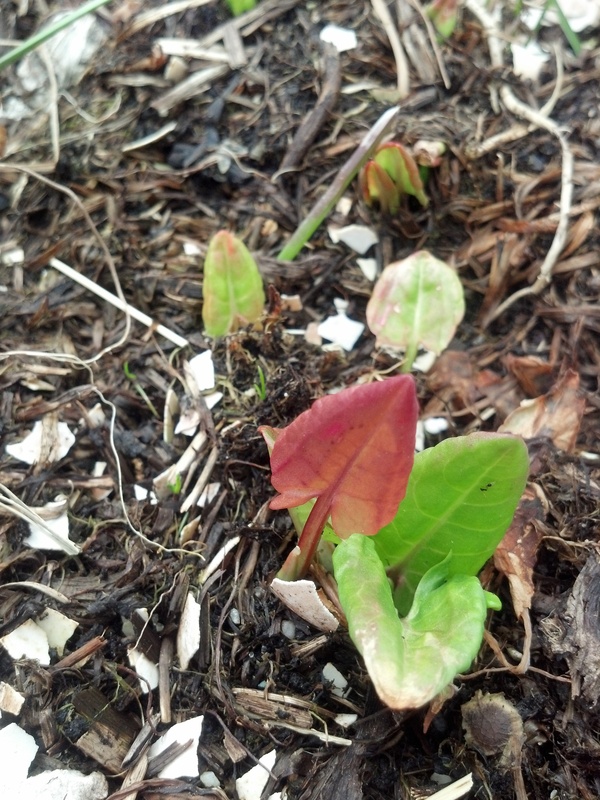 Sorrel turns red after the winter frost. Weeding is a painstaking task that requires a careful eye. You gotta know what’s edible and what’s not. Pull out the grass but save dandelions for salads! 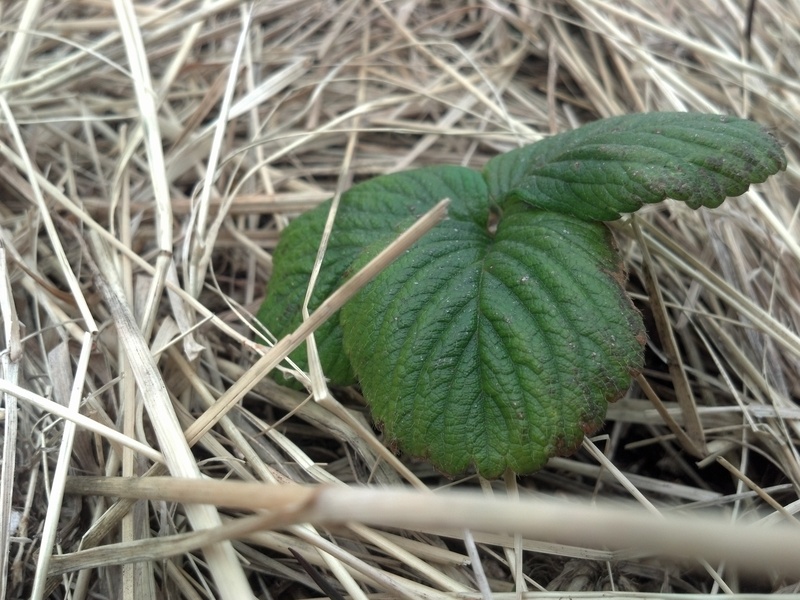 Last Summer’s Strawberry plants survived!